While home on Christmas break, a seventeen-year-old Senate page takes her dog out for a walk and never returns. Reporter Cassidy Shaw is the first to break the story. The resulting media firestorm quickly ensnares Federal Prosecutor Allison Pierce and FBI Special Agent Nicole Hedges. These three unique women, life-long friends, call themselves The Triple Threat--a nickname derived from both their favorite dessert and their uncanny ability to crack cases using their three positions of power. At first, the authorities think Katie might have been kidnapped or run away, but those theories shatter when Nicole uncovers Katie's blog. Posts reveal a girl troubled by a mysterious relationship with an older man . . . possibly a U.S. Senator. There are many faces of betrayal, but they must find one face in a crowd of growing suspects before they become the next victims. Lis Wiehl is a Harvard Law School graduate and former federal prosecutor. 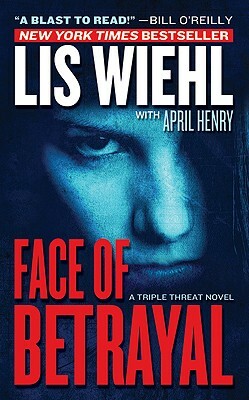 A widely popular legal analyst and commentator for the Fox News Channel, Wiehl appears regularly on "The O'Reilly Factor" and was co-host with Bill O'Reilly on the widely-syndicated radio show, "The Radio Factor," for the past seven years.April Henry is the" New York Times" bestselling author of many acclaimed mysteries for adults and young adults, including the YA novels "Girl, Stolen" and "The Night She Disappeared." She lives in Oregon. "A sizzling political thriller.... The seamless plot offers a plethora of twists and turns." "Wiehl and Henry have penned a winner that seems to come straight from the headlines. Captivating suspense, coupled with tightly written prose, will entertain and intrigue.... this is an exciting book." "A well-written, gripping tale that reflects the authors' extensive knowledge of their subject matter."